Home Food & Cooking What Makes Tofu so Popular? What Makes Tofu so Popular? If you don’t like tofu, it can be absolutely mind-boggling trying to figure out why tofu is so popular. What makes tofu so special? And how can people actually eat that stuff? If you eschew this soy food because you just don’t get it, keep reading for why tofu is so popular and why millions of people enjoy it every single day. Why? As he goes on to explain, most of it is genetically modified. In addition, it contains plant-based estrogens, called phytoestrogens, which are said to mimic estrogen activity in the body. Phytoestrogens are often discussed when it comes to breast cancer and hormonal imbalances. But that’s not all. Dr. Axe also cites soy’s potential to disrupt the thyroid thanks to goitrogenic compounds within it. Finally, soy, and therefore, tofu, is high in phytate, which blocks mineral absorption, and also contains several “anti-nutrients” that can interfere with digestion, immunity and more. From this point of view, it appears that tofu doesn’t have much going for it. It’s genetically modified, contains phytoestrogens, goitrogenic compounds, anti-nutrients, and phytate. Yum. But that doesn’t seem to keep millions of people from eating tofu. So, how can we explain the triumph of tofu and why it’s so popular? First, let’s answer this very basic question: what is tofu? Tofu literally translates to “bean curd”, and that’s exactly what it is. It’s made from soybeans, water, and a curdling agent, or coagulant. There are two main types of tofu commercially available. One is soft or silken tofu. The other is firm or regular tofu. 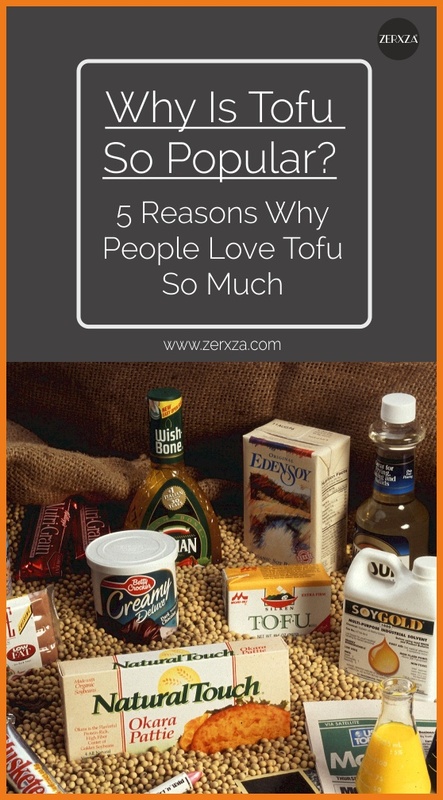 Most people eat and cook firm or regular tofu. Why do we even make tofu out of soybeans? If tofu is simply pressed soybean curd, you might wonder why we don’t have another “tofu” from other beans, like kidney beans, chickpeas, etc. Well, when you cook soybeans, they don’t taste very good. What’s more, because they lack the starches found in other beans, they don’t become creamy and soft. Instead, they remain hard. In a nutshell, soybeans aren’t edible. So, Chinese and Japanese people figured out how to make soybeans work in their diets. First, these Asian cultures fermented soybeans. This helped to break down the soybean and make it more palatable and more nutritious. Common fermented soy products include miso, tempeh, and natto. But fermented soybeans are only one way Asian cultures enjoy soy. In fact, sources say tofu has been used in Asian cultures for at least a thousand years. In fact, tofu was traditionally offered to the graves of deceased family members in China. Why? Because it was said that their deceased relatives had lost their chins and jaws and couldn’t eat hard foods anymore. Tofu, instead, was soft enough for them. While soy intake varies from country to country, Asian societies still consume it regularly – in some studies, men and women consume an average of two to three servings of soy foods, including tofu, each day. Tofu is a vegan and vegetarian approved plant-based form of protein. And it’s nutritional profile is pretty impressive. It’s high in protein, low in fat and low in carbohydrates. Plus, it contains a lot of calcium. So, apart from being an age-old traditional food in Asia, and for having a relatively good nutritional profile, why is tofu so popular? Because tofu is completely plant-based and loaded with protein, it’s a great meat alternative for vegans, vegetarians and for people who like to avoid animal proteins. Normally, tofu costs around $2 per portion, and that can serve at least two people. So, if your grocery budget is small at the moment, tofu is a cheap and easy way to get your protein without breaking the bank. On its own, tofu is super bland and not very palatable. But that’s actually what makes it such a favorite in the kitchen. It basically acts like a sponge and absorbs the flavors you cook with. BBQ? Check. Marinated? Check. Stir fries? Check. Desserts? Also, check! Because tofu is so versatile, you can use it for so many different dishes and cuisines. Cooking with firm tofu is easy. You simply need to drain and press the block of tofu first. Or, follow the instructions on the food label. Then, you can slice it and dice it, and cook it depending on your recipe. You can bake, fry, scramble, sauté, grill and even make soups, stews and salads with it. A 1/2 cup, or four-ounce serving of raw, firm tofu (about 100 calories) contains 10 grams of protein and 1.5 grams of fat. Compare that to four ounces of ground beef, which has 26 grams of protein and 15 grams of fat. Or, one egg, which has 6 grams of protein and 5.5 grams of fat. Additionally, this serving size of tofu provides 227 milligrams of calcium (about 22 percent of your recommended daily amount) and 1.82 milligrams of iron. As you can see, tofu is a high protein, low fat and low carbohydrate food that can be part of your healthy diet, whether you follow a vegan, vegetarian or omnivore diet. It’s not hard to see why tofu is so popular. It’s cheap, easy to work with, versatile and fills you up with plant-based protein. Plus, you can make a vegan peanut butter cup pie with tofu. Need I say more? Next articleWhere Exactly Is the “Thin Line” Between Love and Hate?